CalPERS is right to stand up to the One Percent. East Bay activists and others are rightly concerned about the tsunami of One Percent money that is crashing over our elections. Yet the US Chamber of Commerce, the self-described "world's largest business federation," is in a tizzy over a California Public Employee Retirement System rule that seeks transparency. The rule asks governing boards of companies in which CalPERS invests to set policies for oversight of political campaign contributions and to disclose the contributions once a year. So what is big business trying to hide? In theory, publicly traded companies are accountable to shareholders, large and small. Yet in fact, corporate management of large companies usually treats shareholders like adversaries. And the chieftains spend shareholder money on lawyers, lobbyists, and lawmakers to manipulate politics to their advantage. CalPERS is one of the largest owners of corporate stock in the world. 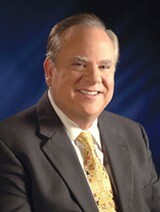 Concerned about corporate influence in elections, state Treasurer Bill Lockyer wrote the CalPERS Investment Committee last year and argued that as a shareholder, CalPERS needs to know if corporate political spending is consistent with the "values" of each company and its "profitability," calling for transparency of corporate political donations. Much concern about money and politics centers on the US Supreme Court's decision in Citizens United. In that case, the judicial wing of the One Percent held that large corporate electoral contributions were legal and were no big deal, because shareholders could simply exercise their ownership rights to learn of, and potentially stop, the donations. Relying on this fantastical argument, Lockyer and others at CalPERS called the court's bluff, drafting a policy for CalPERS known as CalPERS Corporate Governance Policy 6.5, which calls for board oversight of contributions and yearly reporting. The policy is extremely modest. Some large asset owners are asking companies not to make political contributions at all. But when the One Percenters learned of the CalPERS proposal they called out the dogs. In response to the proposed policy, and in spite of the words of the Supreme Court about the robust rights of shareholders, the chamber and its lawyer, Andrew J. Pincus, submitted a seventeen-page letter crying crocodile tears over the unfairness of the CalPERS rule. For shareholders to even ask companies to tell the public of their campaign contributions, Pincus claimed, would violate the First Amendment, burden taxpayers, diminish stock prices, and endanger retiree benefits. He even made the veiled threat that if the policy was adopted, CalPERS trustees could be personally at legal risk. The chamber's letter also quoted freely from an academic for the One Percent who said that if "existing duties of care, loyalty and its by-product good faith" that are exercised by corporate leaders today are not sufficient to make corporate boards respect their shareholders in the campaign contribution context, "the corporate form [is] unworkable, inefficient and dysfunctional." Uh, oh. Watch out, the cat is trying to get out of the bag. In response, CalPERS outside counsel, Harvey Liederman, wrote a twelve-page letter on behalf of the board, profusely thanking the chamber for sharing its views, while pointing out a number of obvious flaws. But lurking just below the surface of the lawyerly arguments was the real issue. Large corporations are playthings for their top officers, paying out royal salaries and benefits, shareholders be damned. Corporate donations are fundamentally about protecting the system that allows and promotes the regal perquisites and power of their leaders. These oligarchs fear free and fair elections and an informed electorate. This year, in addition to their attempts to hide their financial manipulation, they are employing voter suppression efforts in key states to make it difficult for the poorest Americans to even vote at all. To their credit, in spite of these threats, CalPERS trustees adopted the transparency policy after a hearing on the matter. They should be applauded for this. And they should be encouraged to aggressively enforce the policy. Many criticize CalPERS. The criticism comes from all manner of sources, but the bulk of it comes from those who don't like CalPERS-type pension systems and who have been able to create a false controversy due to an envious press. (Hey, I don't get a good pension, why should they?) These defined benefit funds pool large amounts of money in a single fund for a group of workers, as opposed to every worker having, they hope, their own little financial pot. The investment risk is thus common, a more humane way to approach retirement savings. And the pooled money gives the fund trustees power in regard to corporate chieftains. Now, there are valid reasons to criticize CalPERS. It has been seduced by Wall Street financial "engineering" and invested in all manner of ridiculously complex and faulty financial gimmicks. The result of this dalliance with Wall Street "geniuses" is that CalPERS has literally gifted billions of dollars to Wall Street moguls that could have gone to retiree benefits or taxpayers. Wall Street has funneled much of this money into the pockets of the One Percent and into the fat wages of Mr. Pincus and others. But in standing up to the chamber, CalPERS is helping us all. Transparency is good. It is one of the best weapons that the 99 Percent has. And any corporate lawyer, lobbyist, or lawmaker who tells us that he is trying to protect the First Amendment or the interests of retirees and taxpayers by keeping the activities of the elite secret is simply a wolf in sheep's clothing.